American actor, jazz pianist and songwriter, born 18 October 1918 in Harrisburg, Pennsylvania, USA and died 7 February 1999 in Los Angeles, California, USA. 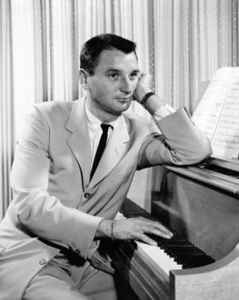 He married his 2nd wife, Julie London in 1959. He is best known for writing the popular standard "(Get Your Kicks On) Route 66", and for his role as Dr. Joe Early in the 1970s US TV series Emergency!